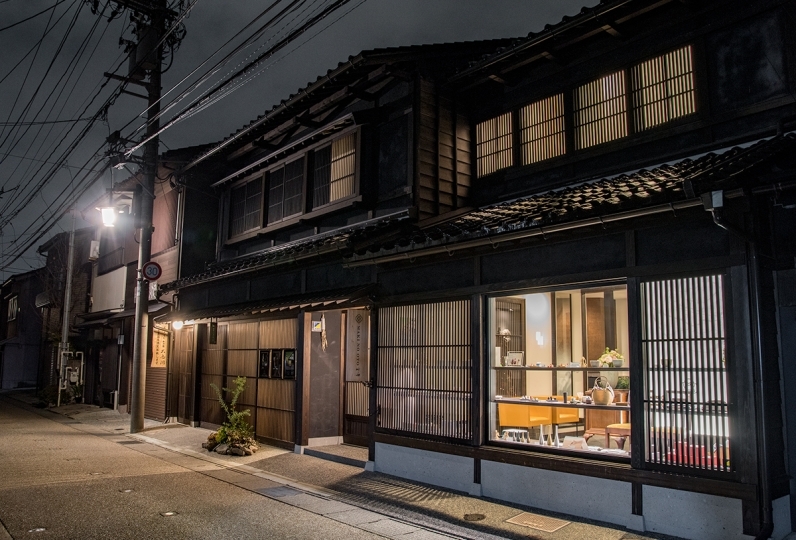 “Ryotei Manyou” is a hideout for adults located quietly on 6611 square meters of land. The origin of the name comes from the late Takashi Inukai who wrote the Manyoshu poetry which lies in the monument and is protected within the garden. The Manyoshu, Japan's oldest anthology of poems, tells the memories of the people and scenery of ancient Nara of more than 1000 years ago. The changing seasons deeply moves and fires up the human emotions: the poetry that sings about it so calmly still fascinates the people to this day. Here, the calmness of the poetry seems to live on. Once you enter, you will be greeted in a small room. All rooms are different and each room welcomes the guests with new atmosphere. The landscape from the window also adds a new atmosphere to the room with each season. 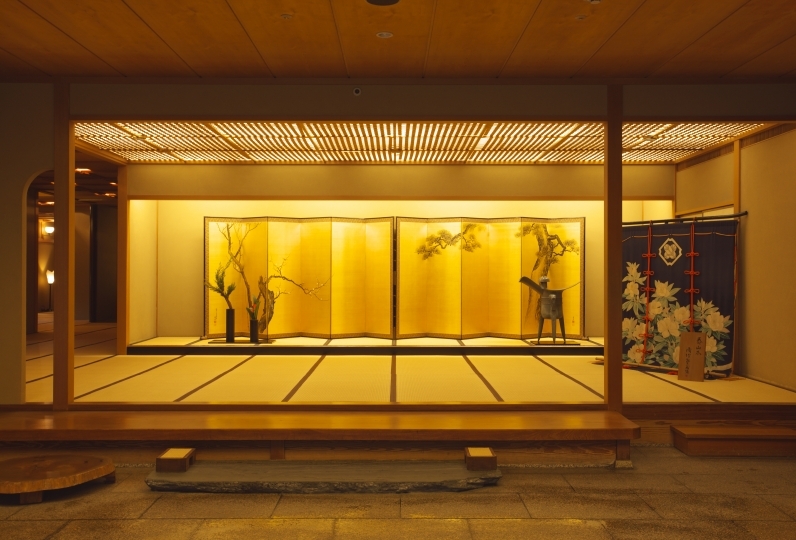 Also changing with the seasons are the vividly decorated traditional Japanese cuisine. You can enjoy the seasonal ingredients that are found within the Japanese sea or the Kaga plains. The Kutani ware and Wajima lacquered plates help bring a deeper taste. 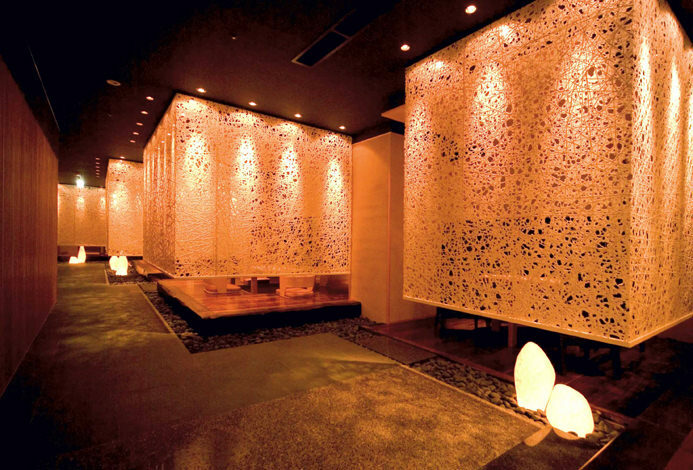 Tatsunokuchi hot springwater is soft to the touch and sinks throughout your body. It is said that the famous writer, Kyoka Izumi called Tatsunokuchi hot spring his second home town and would commute to enjoy the hot spring. 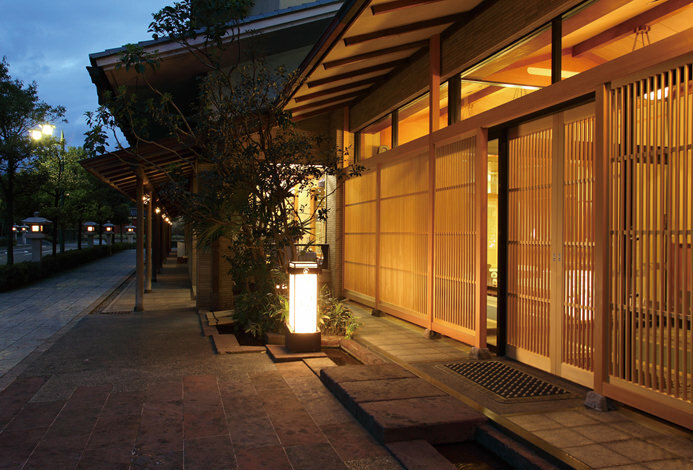 One of the best feature of Ryotei Manyo is that you can enjoy the hot spring waters luxuriously. Gazing at the historical monument and carefully taking in the poems feelings while bathing in the hot spring waters, that has been loved by many over the years, you might be able to quietly hear the Manyoshu poetry that lives on. Thank you very much for your time. I was very happy to receive a marital affair as a surprise for wedding anniversary. The staff at the inn was very kind and polite. Thank you very much for having a very good time. The dinner was all very delicious. In addition, the warabi mochi which was put in the hot water place was very delicious. The building is not new, but it was clean and comfortable. Service "hospitality" is good and was good. I was able to relax slowly. Please enjoy the Tatusnokuchi hot spring through the communal hot spring and open-air bath that has a history of more than 1,400 years. It is said that in the olden days, villagers would heal their horse's leg in these waters. 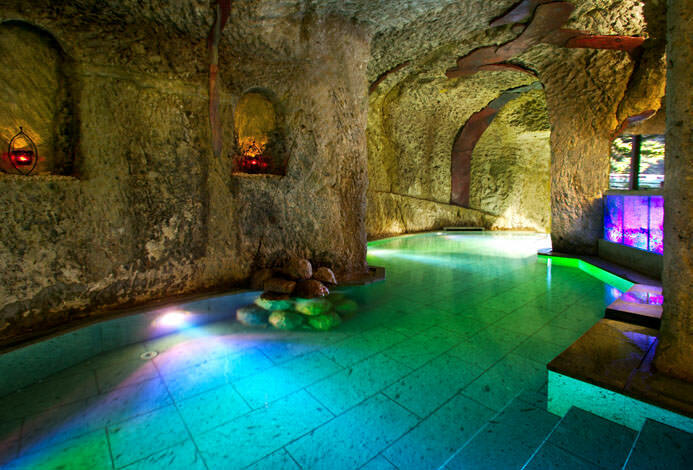 This hot spring is very popular among women because it makes your skin soft and smooth, which is why it is also called the "hot spring of beauty". You can enjoy fresh espresso coffee at anytime. Approximately 25 minutes by car from Komatsu Airport. 【Regarding Pickup】※Available for a party of 2 or more. ・Reservations are needed for those who want shuttle bus services from JR Komatsu station or JR Mattou station. Advance reservations could be made for the times below.